November 9, Vancouver (Coast Salish Territories) – A broad alliance of citizen-led groups is launching a series of hard-hitting radio ads to help convince the government of Premier Horgan to cancel the Site C Dam, which former Premier Clark had tried to advance beyond the point of no return. The first ad, which launches today, urges listeners to contact their MLA to express opposition to the dam, ahead of the BC government’s decision on whether to proceed with the multi-billion dollar project. Immediately after the BC Government announces a decision on Site C at the end of the year, the groups will put a second ad on air to respond to the government’s decision. The Nov. 1 report from the BC Utilities Commission estimated that the Site C dam would run over budget and is behind schedule. The report also found that additional power is not needed, and that if it ever were needed, smaller alternative clean energy sources could generate electricity at a similar or lower cost, and power from BC’s Columbia River Treaty entitlement could be had at a far lower cost than Site C.
The BC government plans to announce a decision on the dam before the end of the year, after consulting with impacted First Nations. 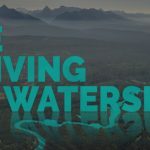 The radio campaign was funded by Leadnow, Wilderness Committee, Sierra Club BC and FightC as well as donations from hundreds of British Columbians. Ads will run on Vancouver radio stations CFOX, Rock 101 and AM730.